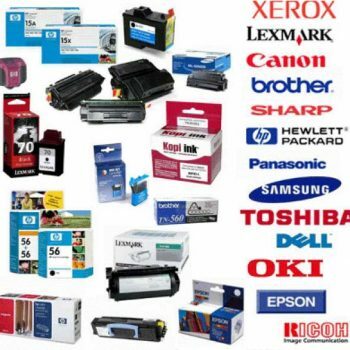 Carlisle Enterprises is your source for an exhaustive line of OEM/New toner cartridges, inkjet cartridges, fax film, and ribbons, even the hard to find ones. If it prints, copies, or faxes, we can get it for you! We don’t rake you over the coals either. We use our big box competitors as our price guide, so you know you will pay about the same for OEM printing supplies as you pay elsewhere. And, you will receive your order the next day! So, whether you need OEM HP, Lexmark, Canon, Epson, Samsung, Brother, Ricoh, or any other, just give us a call or click here and let us know what you need!